The Peter Oliver House on Plymouth Street at Muttock, sometimes called the "Small Oliver House" in distinction to Oliver Hall, was built in 1769 by Judge Peter Oliver for his son, Doctor Peter Oliver, Jr., who wed Sally Hutchinson, daughter of then Lieutenant-Governor Thomas Hutchinson in February, 1770. Judge Peter Oliver was an influential Loyalist in Massachusetts and the owner of a grand summer home known as Oliver Hall and the Oliver iron works (now Oliver Mill Park) in Middleborough. Because the date of construction nearly coincides with the marriage date, it is likely that the house was built as a wedding gift for the couple. 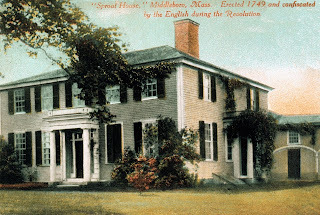 For many years, it had been believed that the house had been built in 1762, as is recorded in Weston's History of the Town of Middleboro. However, a number of finds uncovered during restoration of the house in the mid-1940s disprove Weston and confirm the later date. When the front doorsill was replaced at the time of restoration, a penny dated 1769 was discovered in the center. Additionally, the date 1769 appears scratched on the foundation of the northernmost (right) chimney, and is also handwritten on the wall of the "best bedroom" closet (which had been subsequently hidden by layers of wallpaper). Finally, Peter Oliver, Jr., for whom the house was built, did not take up residence in Middleborough until 1764. The house is stated to be similar in design to the Wythe House at Williamsburg, Virginia, though the Oliver House has front and back halls both upstairs and downstairs. At one time, the Oliver House also had attic rooms for slaves, though these accommodations were later removed. The first occupant of the house, Dr. Peter Oliver, Jr., was born in 1741, son of Peter and Mary (Clarke) Oliver. 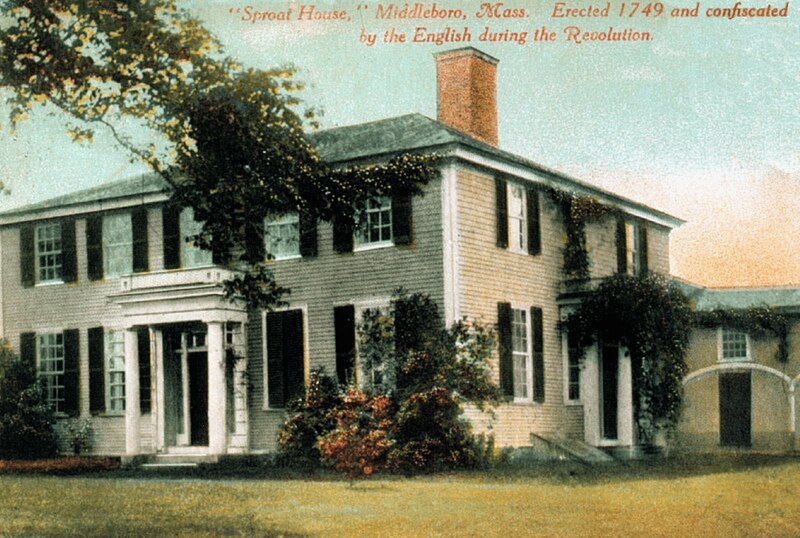 Educated as a physician at Harvard College, the younger Oliver came to Middleborough in May, 1764, establishing his practice the following month in a small shop built by his father at Muttock. Oliver described his practice thusly: "I gradually got a little business but poor pay". Oliver became engaged in August, 1765, to Sally Hutchinson, the sister of his college roommate and the daughter of Thomas Hutchinson, the most powerful man in the Massachusetts colony, and a staunch Loyalist. Following their 1770 marriage, the Olivers had three children, all of whom were born in the house: Margaret Hutchinson Oliver in 1771, Thomas Hutchinson Oliver in 1772, and Peter Oliver III in 1774. During the Olivers' residency, several notable personages were entertained here. Governor Hutchinson was a frequent visitor to his daughter, until his ultimate departure from New England, June 1, 1774, and so commonplace were his visits that he referred to the house simply as the "summer house." One room, today, is known as the Hutchinson Chamber in his honor. 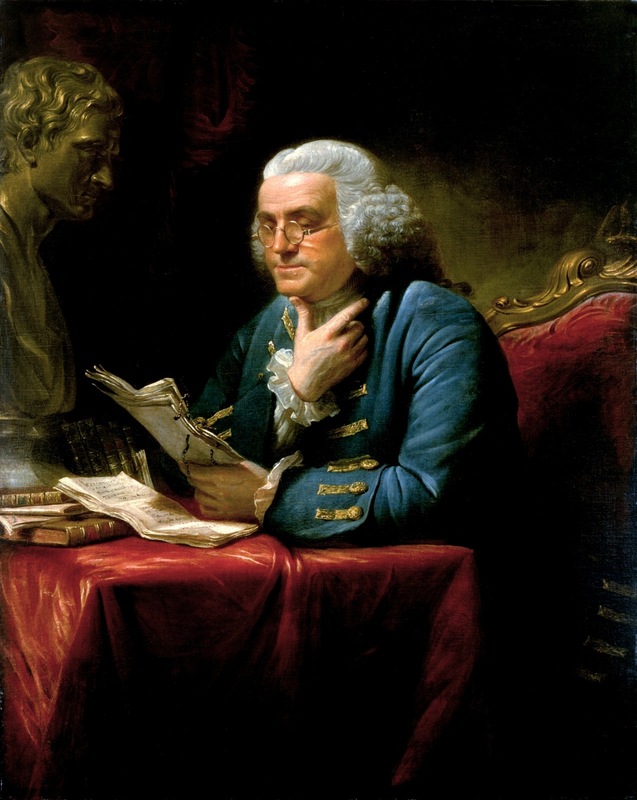 Benjamin Franklin was a guest in the house for three days in the summer of 1773, being the guest of honor at an evening reception attended by many prominent Middleborough residents including Reverend Sylvanus Conant, Dr. Samuel Clarke, and Elkanah Leonard. (Clarke later recalled that Abigail Adams had been present, as well). The motive behind this hospitality was, allegedly, an attempt by the Loyalist establishment to win the influential Franklin over to its cause. While only speculative, this theory does seem validated by the fact that Hutchinson considered Franklin to be "the Great director" of the Massachusetts radicals. At any rate, Franklin was not swayed, and he later infuriated the Loyalist Olivers by leaking personal correspondence from Hutchinson, and Oliver's uncle Andrew Oliver, to Thomas Whately, former secretary to British Lord Grenville. (It was only later that the southeast ground floor parlor became known as the Franklin Room). Rising sentiments for independence from Britain increased public antipathy towards the Oliver and Hutchinson families, and other Loyalists. In January, 1774, Peter Oliver, Jr.’s, brother- in-law Elisha Hutchinson was forced to seek refuge in Middleborough after fleeing from an angry mob in Plymouth which had attempted to stone him. Oliver's father, Judge Peter Oliver, then serving as Massachusetts Chief Justice, was impeached February 24, 1774, by the General Court, and an orchestrated campaign to vilify him was undertaken. The death of Judge Oliver's brother Andrew, and the departure for England in June, 1774, of the Hutchinson family, left Judge Oliver to bear the full wrath of colonial disaffection, and was forced by a deputation of "Middleborough brutes" to sign a promise not to exercise his office, August 24, 1774. Peter Oliver, Jr., himself, was forced by a mob of forty men which had assembled outside his house the following month, to sign a similar agreement not to accept any commission from military governor General Gage. Ultimately, a second mob, headed by Reverend Sylvanus Conant, in February, 1775, forced Peter Oliver, Jr., to flee to Boston where his remaining family had gone. During the blockade of the city, he served as a common soldier. He left America, never to return, in April, 1776, and died an embittered man in 1822. The Oliver House and property was ultimately confiscated by the Commonwealth and the contents of the house inventoried and recorded with the Plymouth County Registry of Probate, after which they were auctioned. During the state's ownership, the house was periodically occupied by Governor James Bowdoin, who was a frequent visitor during his administration, and the Scollay family of Boston was entertained here. Eventually, the house was auctioned, as well, passing through a number of owners including Martin Brimmer of Roxbury, Nathaniel Russell (1793-94), Hushai Thomas, Jr. (1794-97), and General Abiel Washburn (1797-98) who, reputedly, removed the front door of the house for use in his own new house just across the road. The house was acquired a year later, on January 16, 1798, by Judge Thomas Weston of Carver (1770-1834), and it remained in the possession of his and his daughter's family until 1893. Weston (1770-1834) had, in his youth, been employed in the iron business at Pope's Point Furnace in his native Carver. 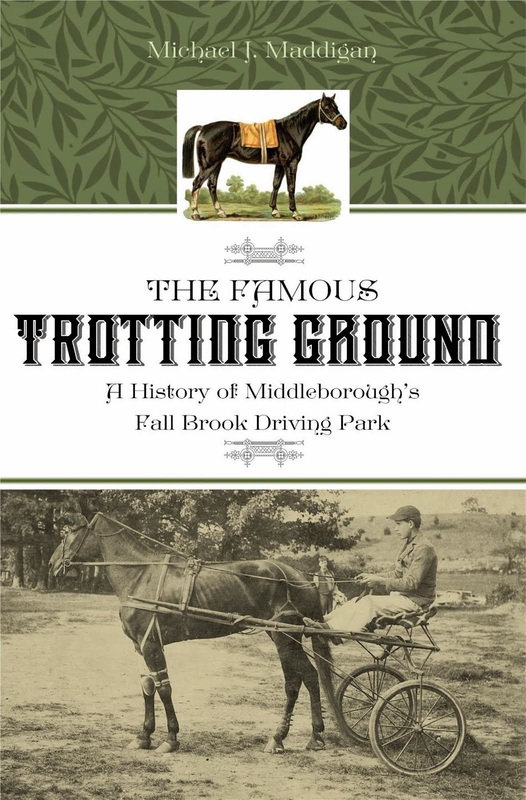 After removing to Middleborough in 1798, he engaged in the works at Muttock with his son, also Thomas Weston, and later engaged in politics, serving as a representative to the General Court in 1811, 1812, 1814, 1815, and 1819, and as a member of the Governor's Council for four years. He declined a nomination for a congressional seat, and later in life served as chairman of the Court of Sessions from which position he took the title of Judge. Upon Weston's death, the house passed ultimately to his daughter, Bethaniah (Weston) Sproat, wife of Earle Sproat. The Sproat's marriage was marred by tragedy: Earle Sproat suffered tuberculosis "of the old fashioned sort" and two children died in infancy, while a third, Abby Sproat, died at the age of one year after having been scalded by boiling water, when a teapot was dropped from a table. 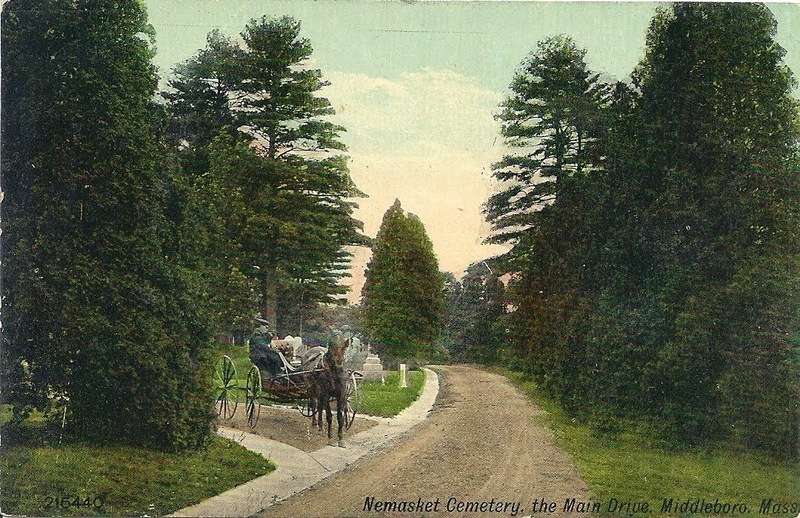 The couple's surviving children were Mary Sproat who became a noted landscape artist; Thomas C. Sproat who studied law "and had a promising future, but who died when a young man;" and Doctor Henry H. Sproat, "a fine type of the old country doctor." Despite this sad history, a number of anecdotes concerning the Sproats have come down to us, largely due to the fact that "the family as a whole was noted for its wit and apt repartee." 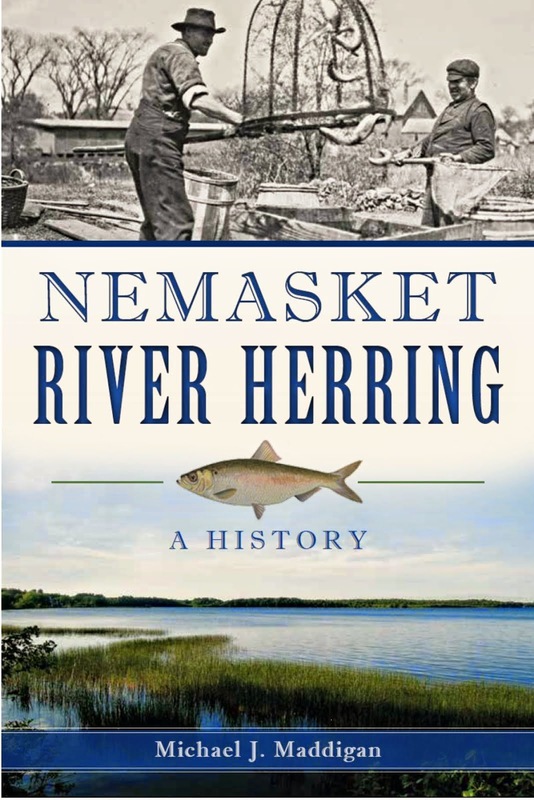 The Sproats owned a share of the grist and sawmills on the Nemasket River at Muttock, and Earle Sproat would go to the sawmill every third day when the mill was running in order to cart away the slabs. One day, he and his hired man Bill Wright had the slabs loaded when a drunk Billy Allen who was employed in the Muttock grist mill came and tipped the load out deliberately. "Mr. Sproat turned to his hired man and said, 'It is a mean job to give Billy Allen a licking, but I will give you $1.25 to do it.' The hired man immediately went at it, and gave him a good sound drubbing until Mr. Sproat told him to stop. Mr. Sproat paid him for it on the spot, the slabs were reloaded and they went home." 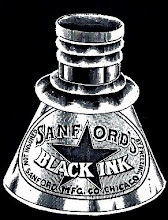 Besides being engaged in the Muttock works, Sproat was involved in other business ventures, including a position as agent for Middleborough and vicinity of Charles L. Bartlet's "Warranted PURE” Peruvian guano. With the death of Earle Sproat, the property passed to Sproat’s son, Dr. Henry H. Sproat of Freetown, Massachusetts, and upon Henry’s early death, to his minor daughter, Eleanor Bethania Sproat. The house was sold by Eleanor’s mother and guardian Katherine Ann Sproat in October, 1893, to Henry Champion Jones of Boston (1856-1942), a teacher at the Boston Latin School. Jones was associated with the Arnold Arboretum at Boston and carried out plantings on the grounds. Long prior to Jones, the grounds of the house had been noted for a large locust grove which stood in front of the house where a field now lies. The grove contained nearly 200 locust trees, as well as garden seats and bird boxes. The grove was destroyed in a heavy gale in 1815 when all but 15 of the trees came down. Also on the grounds is a small brook which empties into the Nemasket River. Judge Oliver is believed to have dammed the brook to facilitate the extraction of iron ore from the brook bed for use at his Muttock works. The dam was still visible 100 years later. 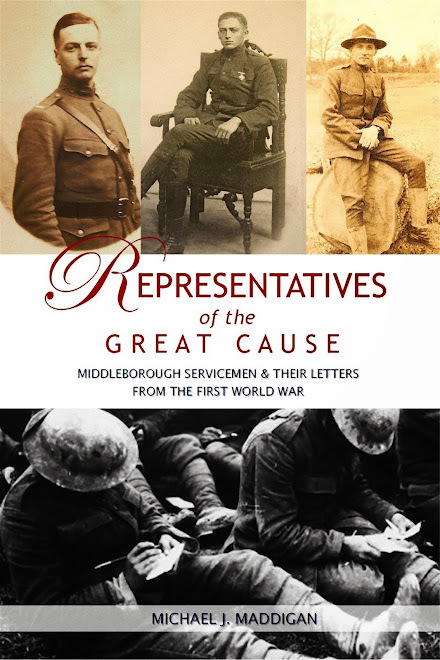 Following Jones’ death, his family generously offered to donate the property to the Middleborough Historical Association which declined the offer. Consequently, it was sold in 1945 to Peter Oliver, a relation of the original owner who restored the house as closely as possible to its original appearance. It has remained in the Oliver family since that time. "The Sproat House", postcard, H. A. Dickerman & Son, publisher, early 1900s. The postcard is clearly incorrectly captioned, the date of construction erroneously being given as 1749. The house, in fact, dates from some 20 years later. The house known as the Sproat House, Peter Oliver House and Small Oliver House was a popular subject of early postcard publishers, and the Dickerman card here is but one example. Benjamin Franklin by David Martin, oil on canvas, 1767. The portrait depicts Franklin as he would have been known to the Oliver and Hutchinson families - elegant, sophisticated, an engaging conversationalist and a political influence. 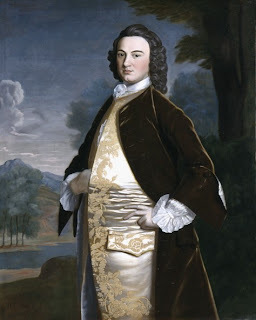 James Bowdoin II, oil on canvas, 1748. A youthful 22-year-old Bowdoin is captured in this portrait dating from 1748. Bowdoin was a political and intellectual leader in Massachusetts during the Revolution, and succeeded John Hancock as governor in 1785. During the period of his governorship from 1785 through 1787, Bowdoin is believed to have stayed in the Oliver House on a number of occasions. Oliver House Staircase, photograph, c. 1930. 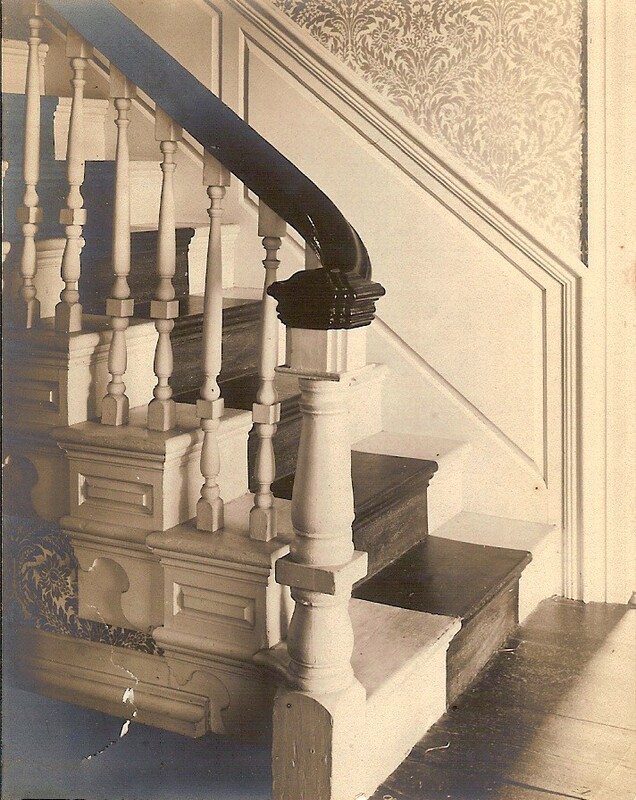 The turned newel post and banisters of the staircase of the Oliver House demonstrate the attention given to the construction of the house in 1769. The architecture of the structure was more formally documented as part of the Historic American Building Survey in 1936. James A. Burgess, “A Sketch of Some Characters of Years Ago”, The Middleborough Antiquarian, 17:2, pp. 5-9. 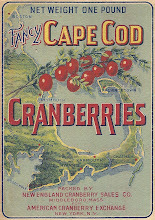 Originally published in the Middleboro Gazette between 19907 and 1909. Peter Oliver, “Judge Oliver and the Small Oliver House in Middleborough”, The Middleborough Antiquarian, 11:4, July, 1970, pp. 2-6. Plymouth County Registry of Deeds. Plymouth County Registry of Probate. “The Small Oliver House”, The Middleborough Antiquarian, 11:4, July, 1970, p. 1. 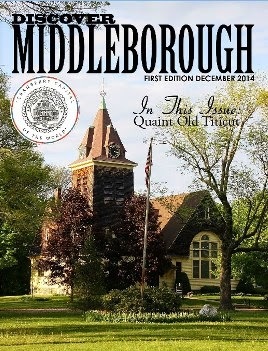 Warren and Marion Whipple, “Middleborough in the American Revolution”, The Middleborough Antiquarian, 26:2, May, 1988. 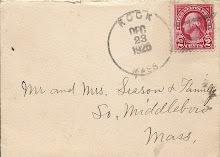 Deacon Alfred Wood, Record of Deaths, Middleboro, Massachusetts (Boston: General Socity of Mayflower Descendants, 1947). Can a wedding and sleep over be done here? I'm a grandson of Henry Champion Jones and I appreciate this article, along with another recently found online, for setting out the history of this wonderful house. 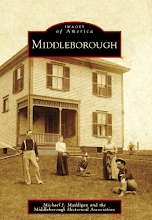 My wife and I recently visited Middleborough from our home in MN, and were thrilled to find that the place is being restored. Its value both as an architectural gem, and as a reminder of some aspects of the American Revolution that are not pleasant but that should be remembered, is extraordinary, and my mother and her siblings obviously hoped that the place would be preserved in perpetuity. Thanks for telling its story in detail.